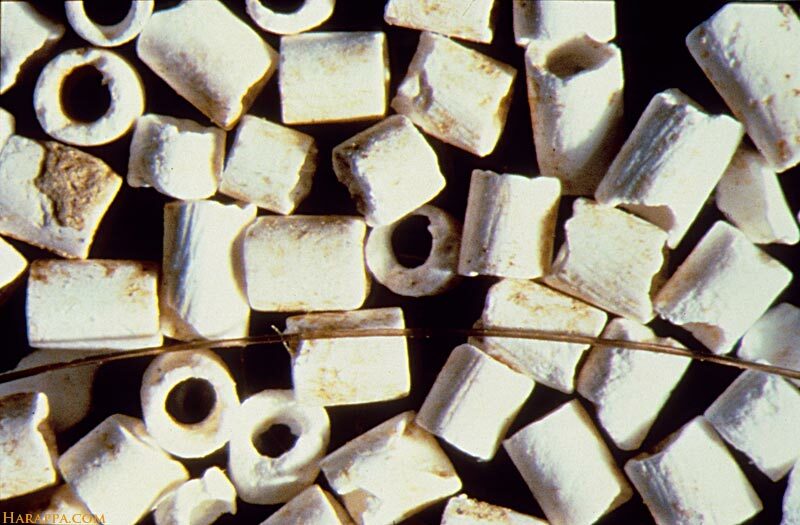 These tiny steatite beads were found in the Harappan cemetery and come from an elaborate hair ornament worn by a male individual. Each bead is less than .01 cm long and less than .01 cm diameter. A human hair is shown to give an idea of the minute size of these beads.